Our devices are increasingly wireless. And for good reason – running fewer cables can be incredibly convenient. Especially when you’re trying to work with devices that don’t necessarily have their own wireless capacity. Fortunately, getting non-wireless devices to transmit wirelessly isn’t tough. Unfortunately, finding the right Bluetooth transmitter/receiver for the job can be a little more challenging. From the start, one of the first things you’ll figure out about the AUKEY Bluetooth 5.0 Transmitter/Receiver just how approachable it is. This transmitter was made with a tremendously straightforward design. Even someone who’s never seen it before ought to be able to master its use in only a couple of minutes. Moreover, the hardware is matched with some equally formidable software support, most notably including a low latency audio codec. When you’re picking a transmitter, it’s often possible to get pigeonholed into a niche device that’s only good for one thing. It might be good for working with TVs, or it might be good for working with stereos. It might be good for transmitting, but maybe not so much with receiving. Having a truly universal design is actually a little rare. But this unit lets you move between equally an effective transmitter mode and receiver mode, broadcasting from a non-Bluetooth device, or broadcasting to a Bluetooth device. There’s also a bypass mode that lets you move between non-Bluetooth devices without having to unplug anything. Along with its pretty powerful transmission range, this unit really only has a small handful of weaknesses that are worth knowing about. 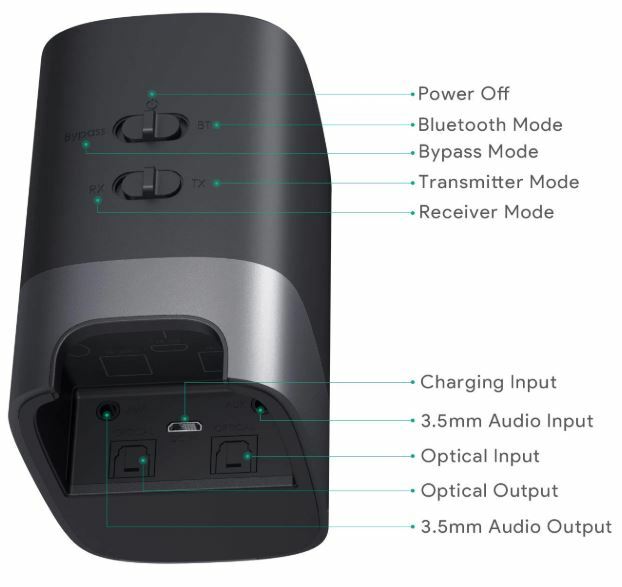 The AUKEY Bluetooth transmitter/receiver measures roughly 5.6 x 4.4 x 2.9 inches. A pretty slim and compact design that doesn’t take up much space, and which makes it much easier to position properly. The chassis is primarily made of impact resistant ABS plastic, with the exception of the topside, which is instead built with transparent materials to help protect the onscreen display. Speaking of the display, this device comes with a full sized GUI that lets you keep your eye on what’s happening with the device at any given time. The display is pretty large, and comparable to some smartphone screens. With the help of the display, operation is pretty simple. It even gives insight into more esoteric issues, like which audio codecs are currently in use. For actually controlling the device, operation is mostly done with a pair of switches. On the backside of the unit, you’ll find a Bluetooth switch, and a switch that will toggle the unit between transmitter/receiver mode. You’ll also find a power button and power LED. On the bottom of the unit, there’s a large recess cut out from the unit, helping provide space for running cables and other wired connections to the device. Pretty handy for cable management. Among the rest of your port options, you’ll find support for an optical input and optical output, a 3.5mm audio input, and a charging port. Along with the rest of the I/O, that’s pretty much everything you could want from a Bluetooth transmitter/receiver combo. The only thing you won’t find is some kind of antenna port for hardware expansion options. In fact, there’s no visible antenna at all, everything is built within the device. How does that affect connectivity? We’ll get into that in a moment. One final complaint. Unfortunately, many of the ports on the underside are not well labeled, or not labeled at all. You can figure out which port with a little trial and error, or by using the user manual. So the problem isn’t insurmountable, but it’s annoying because it should have been easily avoidable. 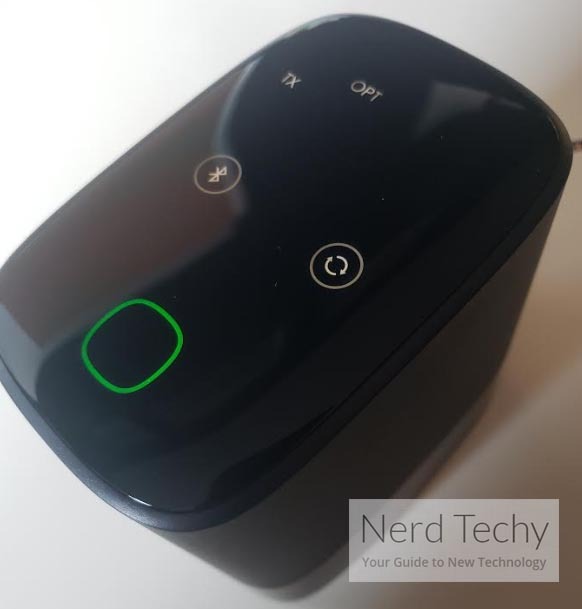 Like its name suggests, the AUKEY Bluetooth 5.0 Transmitter Receiver makes its wireless connection through Bluetooth 5. That means you get all the benefits of Bluetooth 5, including quicker pairing and wider connection range. In fact, you’re able to connect with devices about 164-feet away. That’s assuming you have line of sight, or something very close to it. Because walls and other objects between the signal will drastically reduce its efficacy. Certainly much more than you may have expected from a device with internal antennas. The use of Bluetooth5 also means aptX low latency codecs can help keep your wireless sound playing HQ audio in a synchronized fashion. Keeping sync is especially important for playing games and movies, which is what makes Bluetooth 5 especially important for picking an effective transmitter/receiver for multimedia purposes. 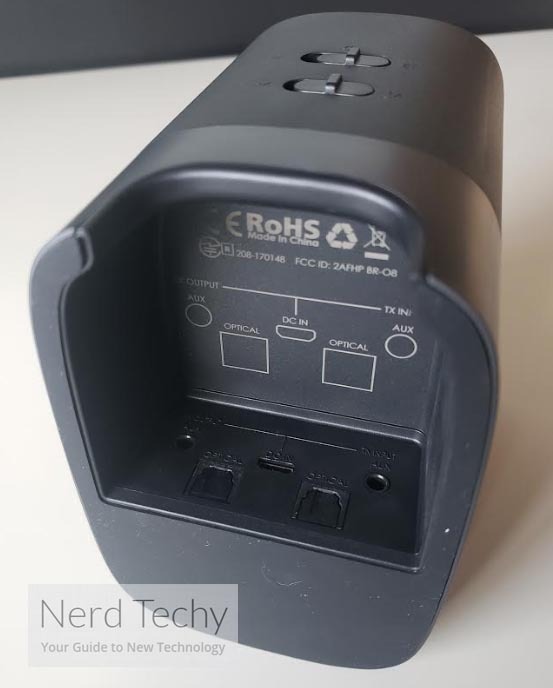 As mentioned earlier, this is a two-in-one adapter, so it can help you wirelessly stream audio from a TV or home stereo that isn’t equipped with Bluetooth. You can also use it to stream content from your Bluetooth devices, like your smartphone or tablet, to headphones. The AUKEY Transceiver/Receiver can actually help you connect two separate pairs of headphones simultaneously. For sharing content with a family member or friend, that’s pretty handy to have. It’s also means you’ve got some expansion options for extending audio to external speakers or even into some kind of PC setup. You could move between two different phones for playing music. There are actually a number of cool options out there for people who want to turn their legacy equipment into Bluetooth enabled devices. The sky is the limit, so to speak. 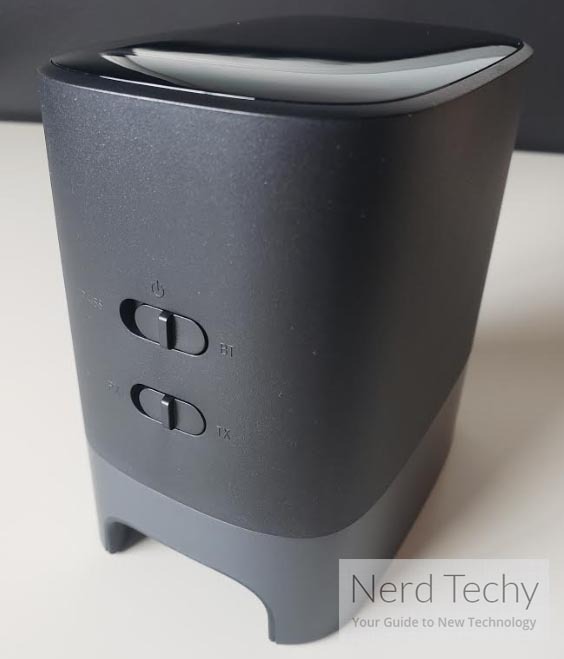 AUKEY went out of their way to ensure their Bluetooth 5.0 transmitter/receiver was built to deliver low latency audio, which is essential to ensuring that going wireless won’t cause a noticeable audio delay. That’s handy for watching the news, playing games, or really anything involving a person speaking. It’s also important for high definition audio output like playing CDs. Or for circumstances where high definition audio is pertinent, like with playing with TVs or PC speakers. The video sync is equally flawless, provided only that you’re not fighting off interruptions in the signal, like obstacles. 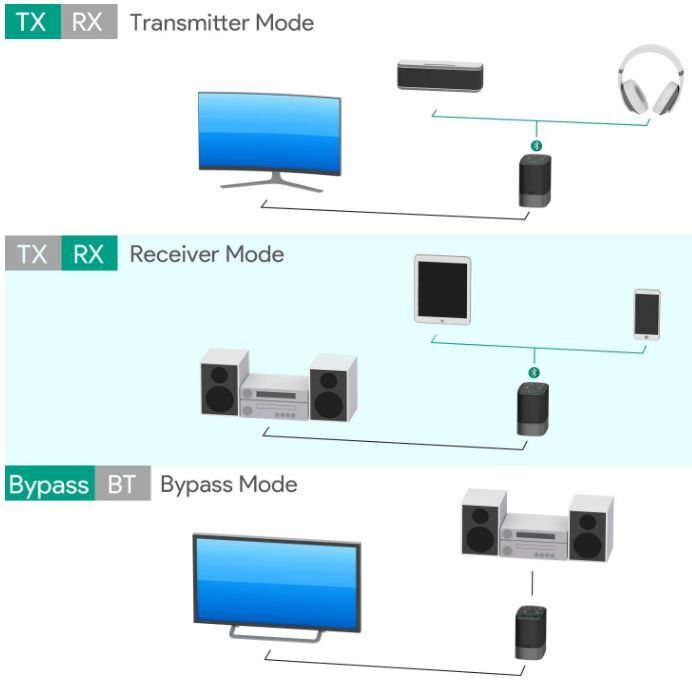 Consequently, the transmit mode works great for running YouTube, Netflix, or otherwise streaming your content to a TV. 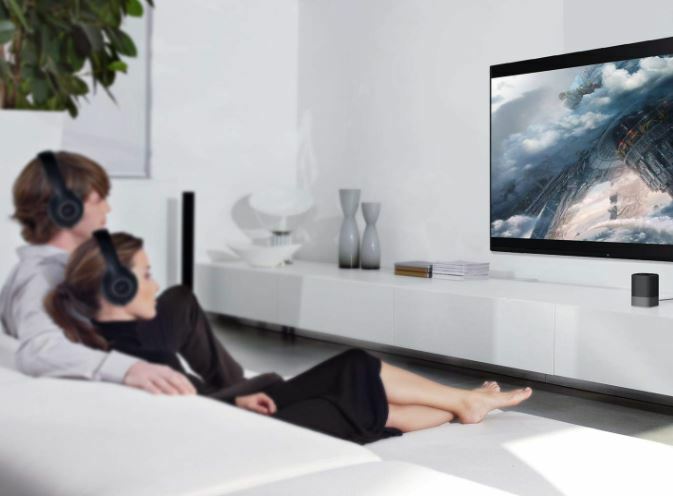 Even transmitting to a new 4K television, you’ll find the signal strength is more than adequate for UHD experiences. When it comes to sync problems between audio and video, it’s mostly movies that are affected. But gamers have more pressing concerns than sync problems, they’ve got to be concerned with input lag and response lag related to going wireless. With a good wireless transmitter/receiver, it’s generally possible to retain response times around 100ms. That’s virtually imperceptible for most players. But when you’re dealing with less impressive equipment, or equipment that wasn’t made specifically with latency in mind, you may end up with 500ms. That’s incredible common among Bluetooth transmitter/receiver combos, and that kind of latency can be unbearable to even casual players. In the case of the AUKEY Bluetooth 5.0 Transmitter Receiver, added latency is roughly 150ms. It’s within perceptible range, but it’s not so significant that players will be bothered by it. That makes this device pretty good for console gaming, though not necessarily the right choice for certain types of PC gaming. In any case, getting around 150ms means this transmitter/receiver is among the best options for gamers out there without having to spend considerable amounts of money. For power, this device is charged with the help of USB. It takes about three hours to charge to full, similar to a modern smartphone. And there are two separate indicators when the charge is complete. There will be a beep from the stereo output, and a visual indicator on the topside of the phone. Pretty handy, though you can turn off the beep if you don’t need the extra hint. In order to maintain its charge, the AUKEY transmitter will automatically go to sleep after a couple of minutes of not being used. You’ve just got to hit a button on the transmitter once to help wake it up. Additionally, it’s possible to use this device while it’s charging. So you don’t actually have to remove the charging cable if you don’t need to be running a wireless connection at the moment. Should you decide to use it in wireless operation, you’ll find the battery can last through about twelve hours of uninterrupted use. After that, you’ll need to give it a couple of hours to charge up, or switch over to wired operation. 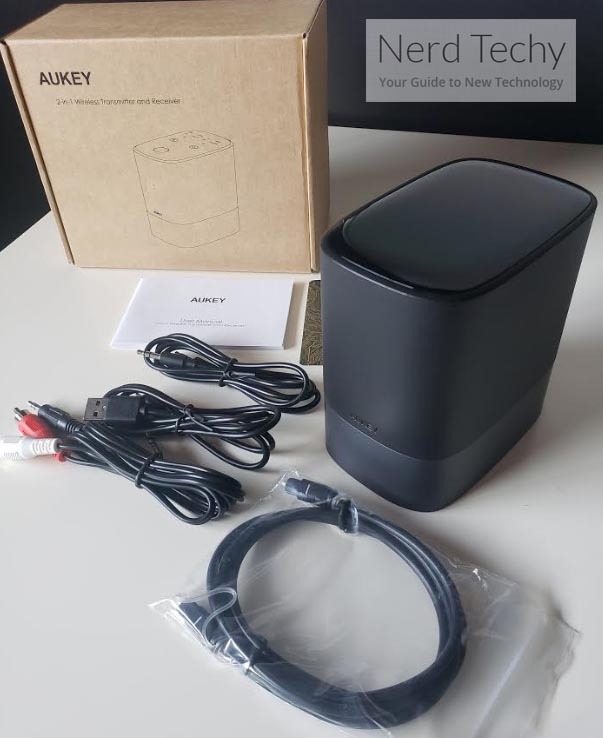 The AUKEY Bluetooth 5.0 Transmitter/Receiver includes the two-in-one wireless transmitter and receiver, a micro USB cable, 3.5mm audio cable, Toslink optical cable, 3.5mm to RCA cable, a user manual, and a two-year warranty. Basically everything you need to get started. It doesn’t include any adapters, and the USB cable isn’t particularly lengthy. Depending on the kind of setup you have in mind, and especially if you plan on using wired operation, it may be necessary to acquire a longer USB cable. Who Should Choose the AUKEY Bluetooth 5.0 Transmitter Receiver? The AUKEY Bluetooth 5.0 Transmitter/Receiver has many things going for it. The interface is pretty easy to use. Setting it up only takes a couple of minutes, even if you haven’t used it before. 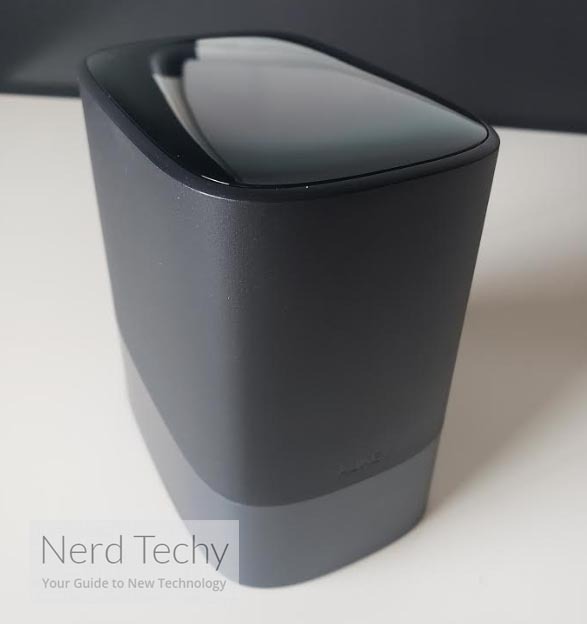 The device has a small form factor that ensures placement isn’t going to be difficult. Along with all the right software support, especially low-latency codecs, the equipment you see performs flawlessly. Of course, what you don’t see matters, too. You don’t have much in the way of hardware expansion opportunities with this kit. It’s not the right choice for trying to use alongside other broadcasting equipment. However, this device lets you move between alternative sources pretty easily. So unless you actually need to connect with four or five separate devices, you probably won’t have issues with capacity. Which makes the AUKEY Bluetooth 5.0 Transmitter/Receiver a good selection for almost anyone who can take advantage of its 164-ft range. Even if you were only going to use 30ft or so, having a signal with a little extra strength can only be a benefit. Especially since that extended range isn’t strongly reflected in the price of this unit.